For one week each year the world celebrates Laugh at Work Week – a week dedicated to having fun at work and recognizing the business value of humor and laughter. Appropriately, the week begins on April 1 – April Fool’s Day, the day when pranks, stunts, practical jokes, and spoofs abound. Laughing is an innate reaction. We all start laughing as babies – surprisingly as early as 2 or 3 months old. Although very little research has been done into WHY we laugh but what is known what laughing does to us both mentally and physically. While laughter won’t necessarily make our problems go away, it certainly can lift the spirits and change the trajectory of a downward day. The Science of Laughs – it’s no joke! Army Reserve Col. James “Scotty” Scott works on the US Defense Department’s Individual and Family Support Policy in Washington D.C. It may be hard to believe, but the Pentagon sent Scott to be trained as a “Certified Laughter Leader.” Even the military is taking laughter seriously. From reducing stress, to decreasing negative emotions and increasing positive ones, to enhancing creativity and memory, laughter can help us rise up to each day’s challenges and be more resilient in the face of adversity. It is said that laughter is the best medicine, and now there is research to prove it. When stressed out, the body constricts blood vessels, elevates the production of potentially damaging stress hormones, and raises blood pressure. Short periods of stress are normal and not dangerous, but over long periods of time stress weakens the immune system and makes heart problems more likely. The saying that laughter is the best medicine is now being backed up by scientific evidence. A new study conducted by the University of California at Irvine is the first to show that merely the anticipation of a positive event or outcome can elevate people’s moods and boost immune system functions simply through the ‘biology of hope’. Stress hormones do a lot more than regulate the immune system; they contribute to many health-related issues such as depression, high blood pressure and the control of diabetes. Laughter is a social tool. It exists to help us build relationships with other people. We like people who make us laugh, we like people who laugh at our jokes, and we like people who are laughing with us. Funny as it may sound (no pun intended), laughter is absolutely essential to the success of any organization. Want to decrease stress, improve health and even increase social interaction among colleagues? Laugh more at work. Laughter is the quintessential human social signal that solidifies relationships and pulls people into the fold. The extended benefits of laughing at work include improved productivity, teamwork, communication, stress relief, job satisfaction and employee retention. Studies show that those with a sense of humor are better communicators, team players and are more creative problem solvers. And contrary to popular belief, these individuals are also more productive and less distracted than their humorless counterparts. Being able to laugh about a situation and laugh at ourselves helps release tension, regain perspective, accept what we cannot change and experience joy. Not a bad strategy for improving business results! So the next time the project team hits what feels like an insurmountable obstacle, find something funny about the situation. Humor relaxes people, reduces stress and conflicts, and opens inner doorways to enhanced creativity and problem solving. Laugh your way to figuring out an ingenious solution that removes barriers and diffuses frustration. Lighten up a little because being stressed out is not a fun way to work. How do we know that “laughter is the best medicine”? A good belly laugh can have the same positive cardiovascular effects as a sustained aerobic workout. One study found that just 10 seconds of hearty laughs produces the same aerobic effect as 5 full minutes of moderate jogging. When you laugh really hard your large muscles move, your breathing increases and your heart rate gets a boost. So, if you are feeling guilty about not exercising . . . Get up in the morning, laugh your head off! Dieters looking for an extra edge might want to consider exercising their sense of humor. Scientists have found that a good laugh is also a calorie burner. In a study conducted at Vanderbilt University in Nashville, researchers recruited 45 pairs of friends and played them comedy clips before measuring how many calories they burned when they laughed. The results showed the participants burned 20 percent more calories when laughing, compared to not laughing. 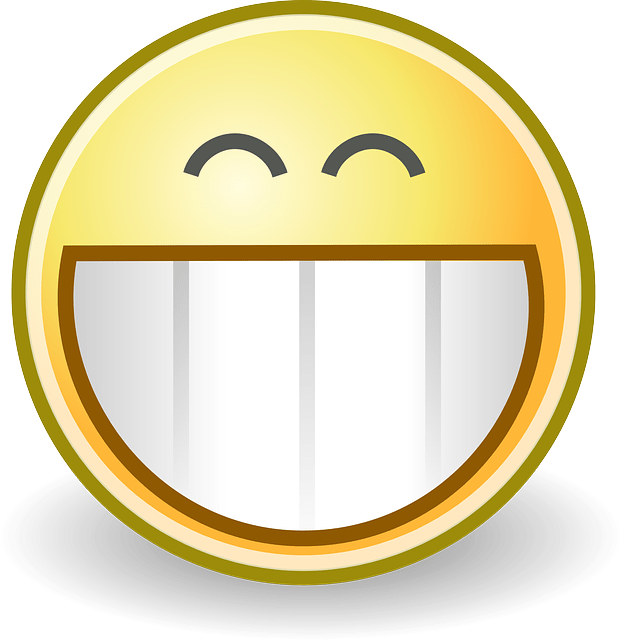 It was calculated that if somebody laughed for 10 or 15 minutes a day, they could burn up to 50 calories a day depending on body size and the intensity of the laughter. Over the course of 12 months that translated to losing two kilograms (4.4 pounds) in a year! Research has shown that when laughter is provoked, pain thresholds are significantly increased. Across all tests, the participants’ ability to tolerate pain jumped after laughing. The results are best explained by the action of endorphins released by laughter. In addition to giving us a “buzz,” endorphins help us ignore pain. Get the last laugh on colds. Another international research team at Oxford University found that when people laugh hard (the kind that leaves them almost physically exhausted with tears in their eyes) the human body triggers the release of endorphins that help reduce the feeling of pain and strengthen the immune system. Endorphins activate “killer” cells that attack viruses and minimize colds. It’s proven. Laughter is good for you! It doesn’t just improve your disposition. Want to stay healthy? Get laughing! Surprisingly, even faking laughter can have health benefits. 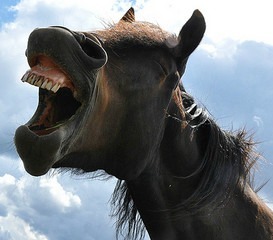 Real or not, laughing still reduces stress by expanding blood vessels, sends blood to extremities, stimulates heart and blood circulation, increases oxygen inhaled , triggers ‘natural painkillers’ (endorphins) and lowers levels of stress hormones such as cortisol and epinephrine (better known as adrenaline). Laughter is so powerful there is good reason to develop this skill! 1995 Laughter Yoga was launched and it has gained in popularity and is practiced within companies throughout the world. “Ha ha yoga” combines unconditional laughter with yogic breathing. It is a powerful force for improving staff performance by promoting a more positive and hopeful attitude. Laughter Yoga on the job site has made it less likely for a person to succumb to stress and any feelings of depression or helplessness. Scheduled laughter walking groups during the lunch hour. Moving the body lifts mood, gets blood pumping and relieves tension. Tracking and recording identified examples of the humor around you – seeing the world through ‘Humor Eyes’. Organizing a Friday afternoon ‘laugh-arama’ to recap, summarize and share the impacts of Laugh at Work Week with everyone. Encouraging coworkers to share one funny thing that has happened to them in the past couple of weeks. Subscribe to a joke service – the internet is filled with these. Sign up to receive the Top 10 list from David Letterman every day via e-mail. Think of your commute as a very special time. Listen to a funny audiotape or radio show on your drive to work. Then, remind yourself of the jokes you heard throughout the day. For some people laughing is a lost art, but it can be one of our most powerful “life coping” tools. It is one of the world’s most potent health supplements, it’s nontoxic, low-calorie and absolutely free. Are you and your coworkers spending enough time laughing during the workday? Even if you don’t feel happy at the moment, who cares? Fake it! The brain can’t tell the difference if the laughs are bogus or not. Besides, make-believe laughter just might lead to a genuine, contagious, knee-slapping time in the office. Did you know that adults only laugh on average 15 times per day whereas healthy children may laugh as much as 400 times per day? Is it possible that the real secret to loving your job could be through laughter? And while there may be a whole range of effective ways to manage our stress, the one, simple, free and easy strategy that seems to be the most overlooked and underutilized is LAUGHTER. Laughter Therapy has tremendous Health Benefits . It’s no joke; we need to start prescribing humor as medication. So get with the program and yuk it up this week. Laughter is contagious – pass it along! Just a few more reasons to laugh this week!